We have extensive experience in moving overseas. Members of the Guild of removers and Storers. We are monitored under the Ombudsmen Accredited Inspection Programme. 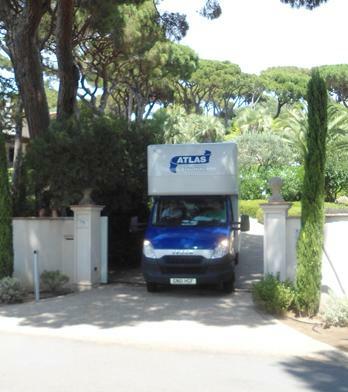 With fully trained staff and fleet tracking we guarantee safe removal abroad. We will arrange storage if necessary and all transportation costs. We have used Atlas of London both in London and abroad. Our trip to Chamonix was made hassle free by the fantastic team at Atlas. 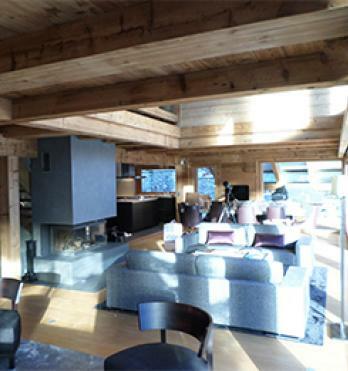 Everything from the arrival and checking of goods in the UK to the delivery and installation in Chamonix was seamless. Nothing was too much trouble. It was a great pleasure to work with such a friendly and helpful team who are quick to respond to any queries or issues. We’re looking forward to our next trip up the mountains with Dean and Tom. Quotes: We give free no obligation quotes. We'll send round a move co-ordinator to asses your move. We will advise you on our packing service and insurances. Removal: An overseas move generally takes place over a few days. Our fully trained and uniformed staff come round and load all of your possessions and transport them to your new home. We then unload where you can instruct us as to where you want them left. We are also experts in awkward access so no new home is too high or opening too small! Fitting & Installation: We are experts in fitting an installation. Any furniture taken apart for the move will be reassembled and installed on arrival. Clearance: We leave minimal rubbish at the end of the day.